Why? Because of the disturbing evidence that seems to grow each day of Hasan’s relationship with radical imam Anwar al Aulaqi. Months ago the FBI learned that Hasan and al Aulaqi communicated “10 to 20 times,” but no formal investigation was every launched by the Bureau. 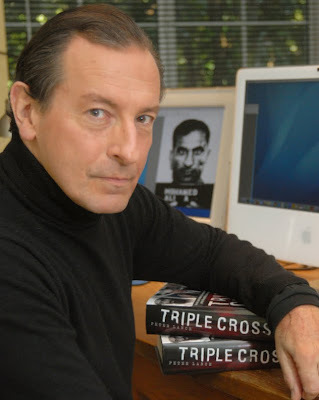 Terrorism analyst Thompson has done ground-breaking investigative work on al Aulaqi; proving that he interacted directly with 9/11 hijackers al-Midhar and al Hazmi in San Diego, then helped them along after the imam moved to the Dar al Hijrah Islamic Center in Falls Church, Virginia in 2000. We now know that Maj. Hasan held his mother’s funeral at that mosque in May of 2001. In one of the emails, monitored by the FBI six months before the Fort Hood massacre, Maj. Hasan told al Aulaqi “I can’t wait to join you” in the afterlife. In 2004 U.S. News reported that post 9/11, German authorities found the phone number of al Aulaqi’s Dar al Hijrah mosque in the apartment of Ramzi Binalshibh, Khalid Shaikh’s Number Two, who will also go on trial in New York. While no evidence has surfaced that al Aulaqi ever met KSM, the link between the Fairfax mosque and Ramzi Binalshibh makes for two degrees of separation between the 9/11 “executive director,” Khalid Shaikh and the fanatical U.S. Army psychiatrist who allegedly left 13 dead and 30 wounded at Fort Hood. The Weekly Standard quoted the FBI as admitting that Hasan came to their attention “in December 2008” and that the Joint Terrorism Task Force “reviewed … communications between…Hasan and (al Aulaqi) and deemed them “consistent with research being conducted by Maj. Hasan…” Contrast that with the London Telegraph’s report: in one outburst at Walter Reed Army Hospital, Hasan declared that non-believers should be beheaded and “have boiling oil poured down their throats;” hardly the view of a serious medical researcher. Thanks be to Sibel Edmonds @ Boiling Frogs Post for running this piece first.